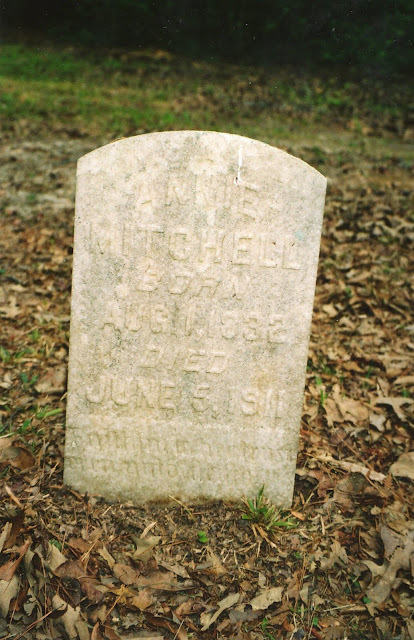 If you read my last post, then you saw deed information regarding Mortimer Mitchell's land. 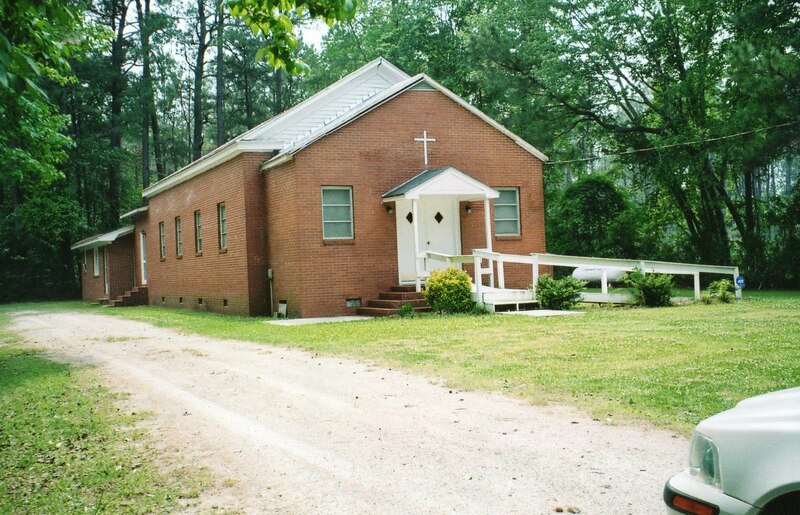 There is a reference in the deed regarding church land, specifically, "In the above tract of land those six acres to be Excepted for the for the use of Church and School house the Remainder the said part of the second parties." I believe this is a direct reference to the land that Mt Olive sits on now. I remember earlier this year first viewing this church on Google Maps. If you take West Fisher Road directly to the end where it meets County Line Road, you come across it. I knew that our family had a connection to the Fishers that lived in this area so it seemed a logical jumping off point checking out Fisher Road. From the aerial shot I could make out that the land next to the church was cleared out long ago and that trees and brush had started to fill in the space, however it was clear to me it looked like there was a cemetery there. Somehow, I knew there was a connection to this place. I found out in April that indeed there was. I had written to the Craven County Genealogical Society and they linked me up with a researcher who originally came from upstate NY, so she had an immediate interest in my request. 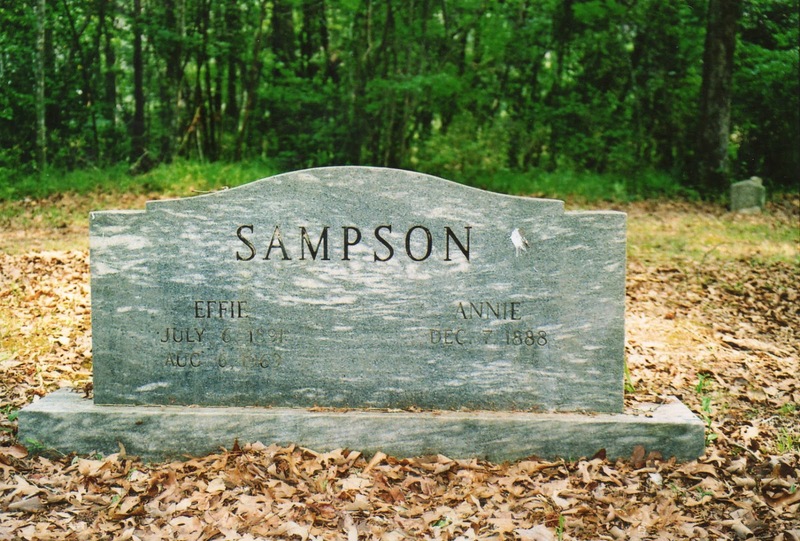 Can I say that genealogy people are the best! So kind and curious, which is such a wonderful combination when it comes to the work that we do. Everyone who has ever assisted me has always gone the extra mile and for that I am so appreciative. This lovely lady who's name I will keep anonymous, went to the Craven County Register of Deeds and found land information for both Mortimer Mitchell and his son Alfred. 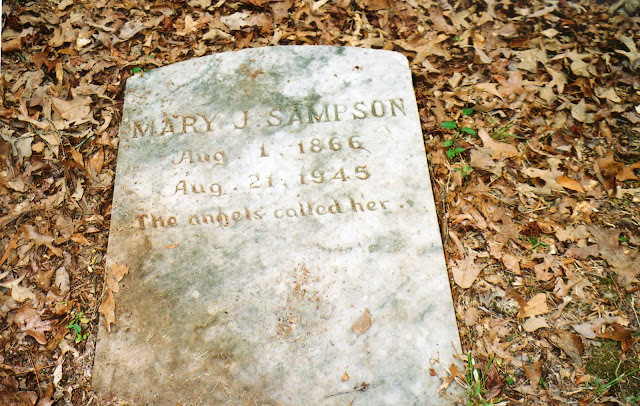 In addition she was able to locate the cemetery records for Mt. Olive and promptly she mailed off copies of everything to me. When I received that first package in the mail, it was like Christmas. In black in white, there it was burial listings for Annie Mitchell, Mortimer's wife and their daughter Mary Jane Mitchell Sampson and her family. The next package was even more amazing. 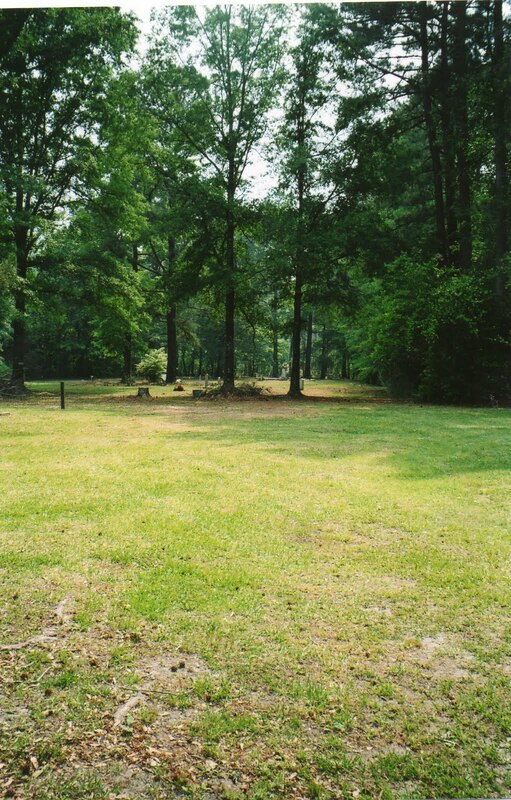 The researcher drove out to Mt Olive, located the graves, and took pictures for me and now I am able to share with you. View of the cemetery from a distance. 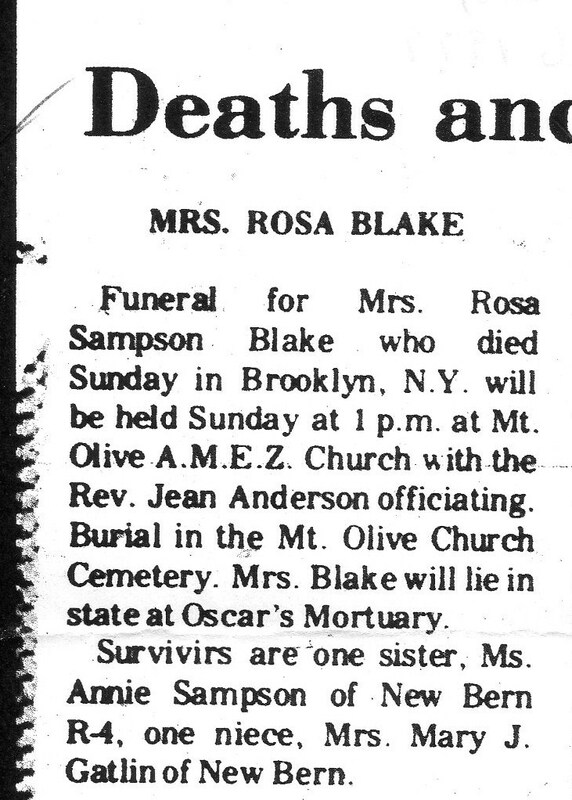 A fifth child, Rosa Sampson Blake (Dec 1899--Feb. 11, 1979) is also buried at Mt. Olive Church Cemetery as evidenced by her obituary. 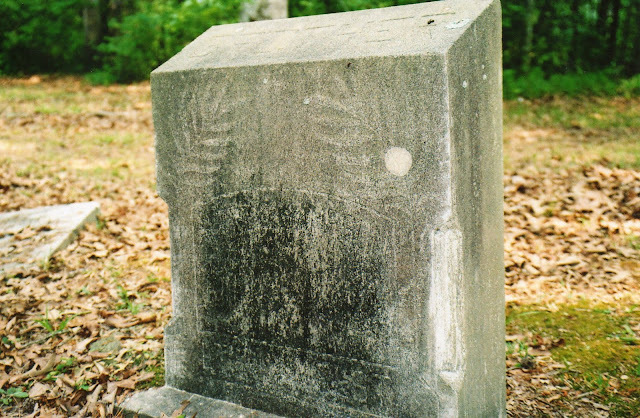 For Mortimer Mitchell and his son Alfred, a stone or grave could not be located at this time. Mortimer died before 1900 as evidenced by the census of that year where his wife is listed a widow. 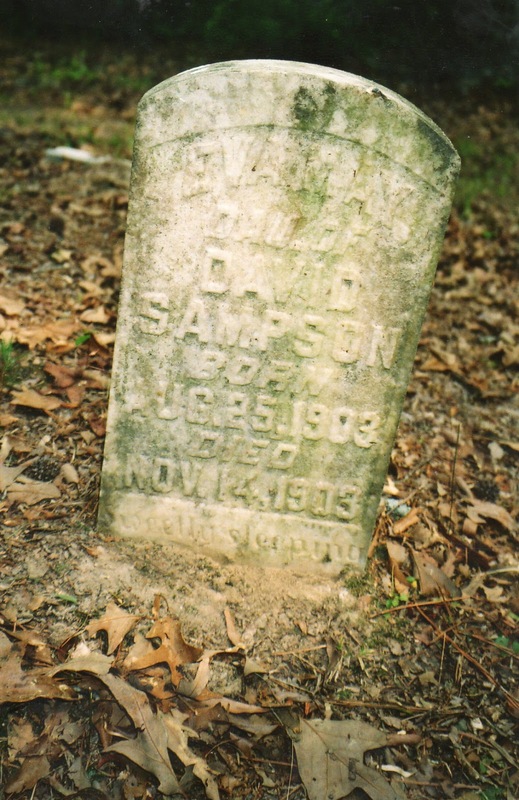 Perhaps, his marker is long ago sunk in or missing. Alfred Mitchell (Jul. 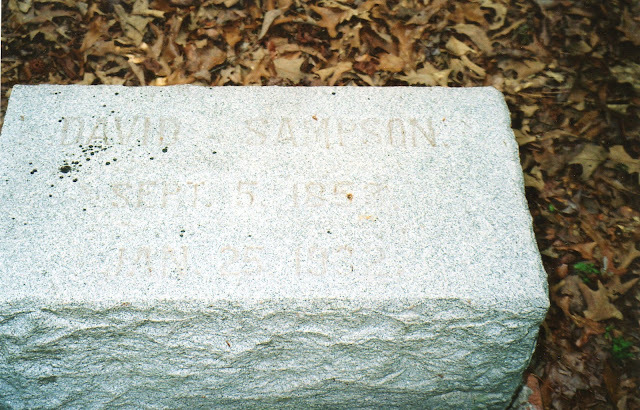 31, 1858--Feb. 24, 1934) lived his whole life in the Riverdale community and his death certificate reads he was buried in Riverdale. 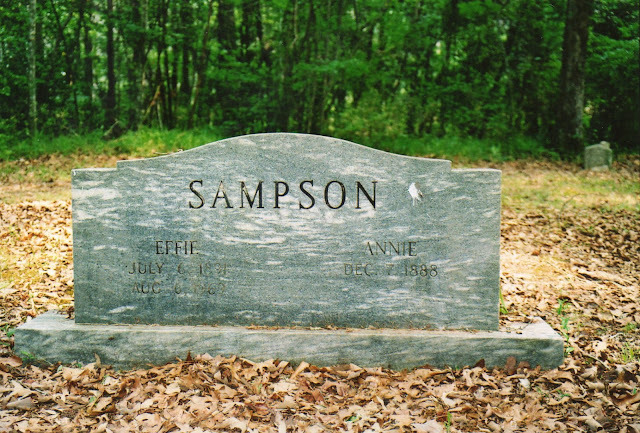 It would make sense that the whole family is at rest together. I feel like somehow we are really connected. Thank you for sharing this information. Yvette, Your welcome. And hey, ya never know. At this point I wouldn't be surprised if we have a common ancestor somewhere. Thanks for checking in.